As I progress through this near-month of musical moments, I suspect some of you must be thinking, has he got a plan? Some grand, overarching concept which leads the listener from the start of the month through genres, styles and artistes towards a unifying theory of Great Music? I know I am. Thinking that, I mean. Which I suspect means, I don’t have a plan as such. I mean, I did, a couple of days in, start a list of Stuff I Must Put In, but, frankly, I’m treating that now as guidance only. As soon as I think of one artist or song, it leads me on to another. It’s a kind of word association exercise with guitar riffs just as liable to inspire the next leap as words. So, for example, the next artist to feature, Jason Isbell, could have been triggered musically by yesterday’s choice, the country punk band I’m in, Isaac Brutal. It could equally have come to mind because I saw Isbell with my bandleader Mark Allan, and former Brutalist and long-term collaborator Kenny Mackay, last year. He played Edinburgh’s Liquid Rooms, and I suspect we were really lucky to see him, at the top of his game, in such a small venue. Alternatively it may have been Youtube’s insatiable list of suggestions when I logged back on it leading me to this video and me thinking, yeah, we’ve got to have The Isbellator in! I’ve no idea if he’s called the Isbellator by anyone. 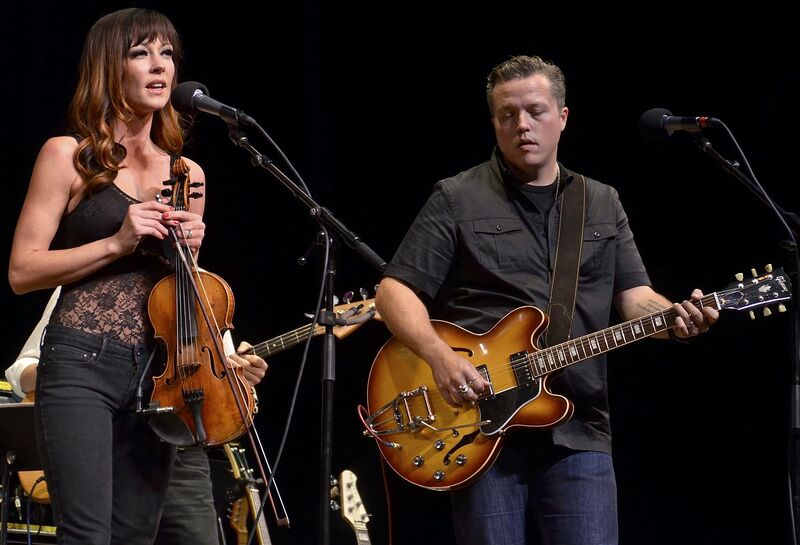 Even Amanda Shires. But there’s always a first time for everything. Anyways, this track is one of my favourites of his. A simple riff, a fine lyric about shutting out the winter and staying with your significant other. Works for me. If you’ve been following this musical journey so far, you know what comes next – the hard sell for the Red Cross Myanmar Appeal. Well, as hard sell as I get. Proper hard sell happens down here with WordPress adverts. Possibly.